July 2011. Brotherhood of The Wind/ Motorcycle Road Culture in America. Moab Valley, Utah. 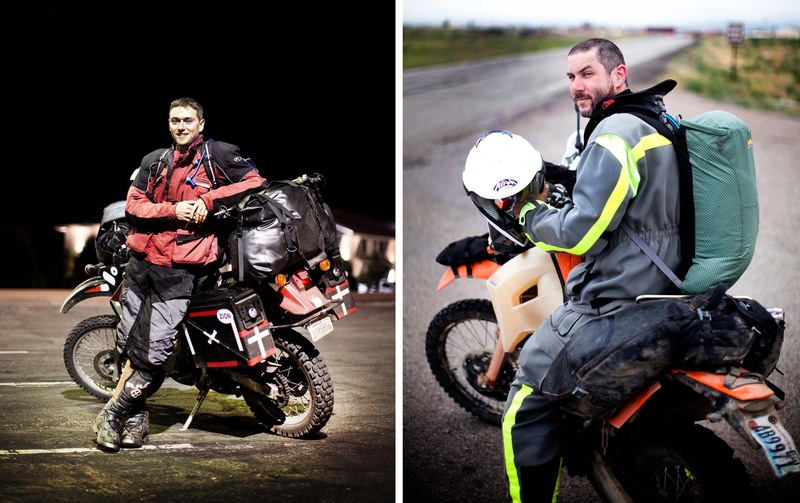 Jay Holecek, 30, from San Francisco, a theraputic chef, with his Kawasaki KLR. On a low budget, Jay saves money by photographing detailed maps of his route in gas stations with his digital camera and then referencing them on the road. "On a bike you're suseptible to elements but also in control." Jay was adventure riding while camping in the wild in a hammock. "I enjoy the sensual intimacy of the moment when I'm on the bike, in tune with my surroundings, the temperature and the smells". Piotr Redlinski for The New York Times.